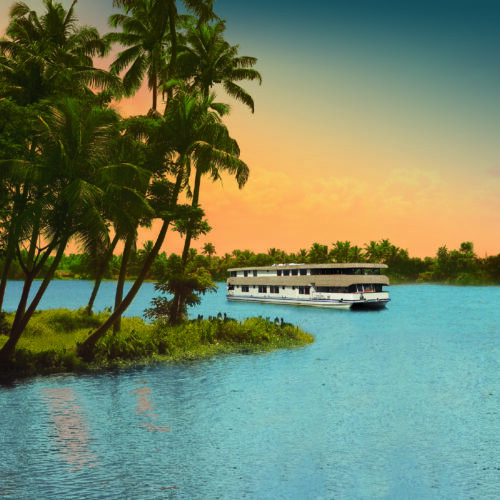 Often considered the highlight of any Kerala tour, an overnight stay on a traditional houseboat, is very much unique to this region. Whether you are on a romantic honeymoon, a family holiday or celebrating a special event with your friends, a stay on a houseboat is well worth including into your tour. 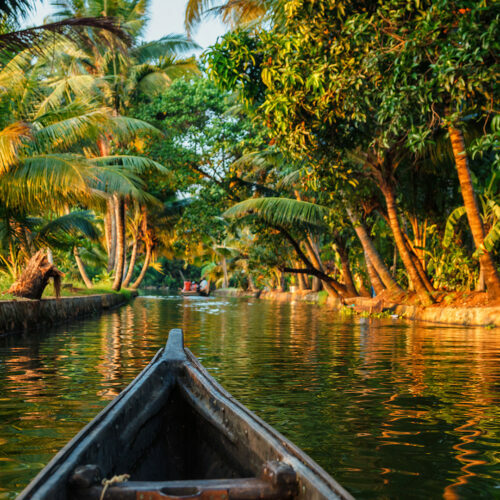 These unique vessels are designed to drift gently throughout the backwaters, allowing you to sit back and watch the undulating backwaters and coconut palms drift by. Located in the beautiful backwaters of Southern Kerala, Xandari River Escapes is a collection of 10 traditional houseboats. These houseboats, also known as ‘kettuvallams’ allow guests the chance to experience the slower pace of life by sailing gently down the picturesque waterways of the Kuttanad district. In keeping with their history, these houseboats are a testament to the ancient rice trade of the region and are styled and designed in a traditional way. Many sections of the boats are hand stitched by local craftsmen with coir and strengthened with fish oil. They are also built using jack-wood, which is an indigenous variety of hardwood commonly used in local Indian construction. In their collection, Xandari offers private one, two or three bedroom houseboats depending on the group size. All boats have air conditioned bedrooms, along with an open-air living area and fully equipped kitchen. There is also a viewing deck on the boat, where guests can sit back and relax. Each boat will have staff on-board who can help provide a seamless service by cooking classic Keralan cuisine and sharing their local knowledge of the backwaters region. The staff are also on hand to help guests explore the waterways further with use of a canoe where they can get deeper into the backwater heartland. Whilst one night is possible, the more time you spend on the houseboat, the more remote the locations are that you are able to visit.